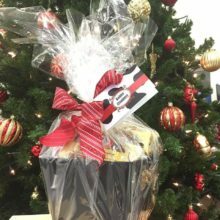 Customize your gift with a farmstead red or black box with a hand-tied ribbon. 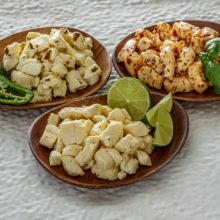 Selection only need for build-your-own gift basket or individual product selections. Give your gift an authentic farmstead feel with our handcrafted and branded wooden crates. 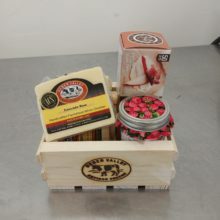 This medium crate can hold up to 10 cheeses, with two jars of jam and a box of crackers. 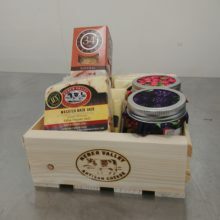 This small crate can hold up to six cheeses, with a jar of jam and a box of crackers. 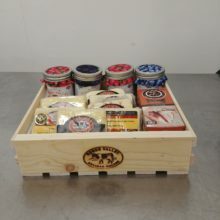 This large crate can hold more than 11 cheeses, with an assortment of jam & crackers. 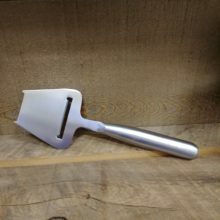 Stainless Steel Blade – ensures the perfect slice for soft and hard cheeses.